For those of you who have been following me online, you probably know about the whole cover drama for DIE FOR ME. HarperTeen created a stunningly beautiful cover, using a scene from the book where Kate is in a rowboat on the river Seine. The jacket art was done by Karen Pearson/MergelLeftReps, Inc. and the jacket design (including the cool, reflecting letters) by Ray Shappell. The model was Michelle Cartwright from APM model management. ...Little, Brown/Atom brought out THEIR cover of DIE FOR ME, and people went even more bonkers for it. 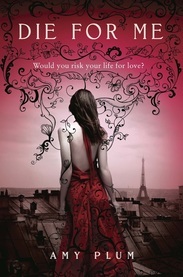 This one shows Kate standing with her back to us on a Parisian rooftop, looking out over the city towards the Eiffel Tower under a rosy-hued sky. 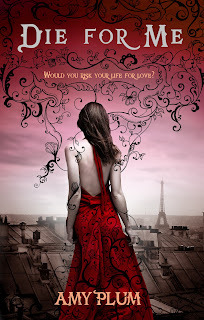 Inky black swirls creep down from the title onto Kate's shoulders, around her arms and flit around her dress. 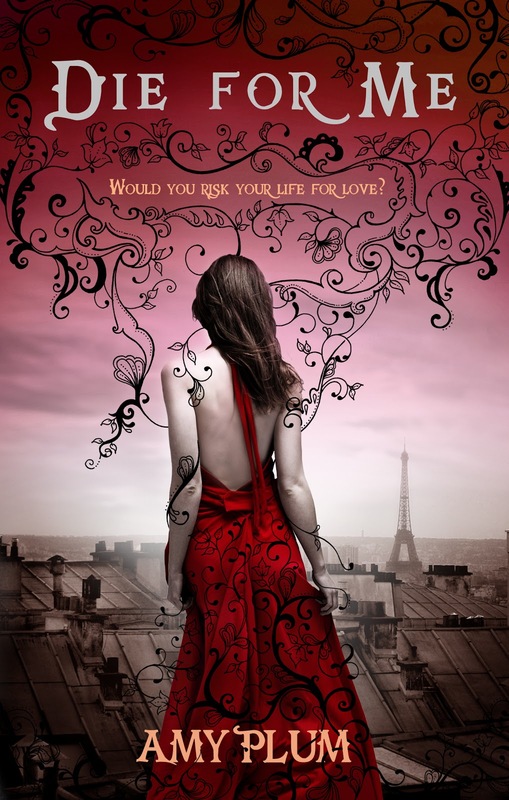 The cover was designed by Mark Ecob and the swirls were hand-drawn by Scottish artist, Johanna Basford. Well, when the Harper big-shots saw Atom's cover, they decided that it was “a bigger cover”, and decided to use it instead. Kind of at the last minute. Which I'm told is not terribly uncommon, but since some promotional materials had already been printed using the first cover, it meant that they felt REALLY strongly about their decision. 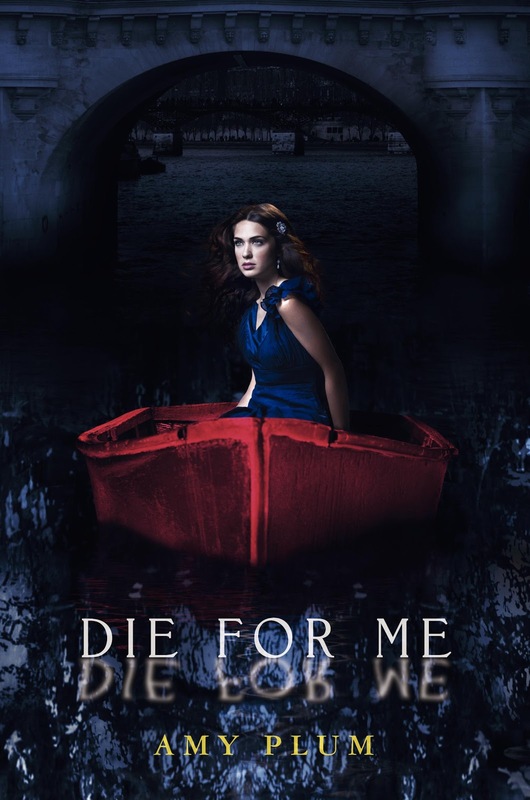 Being an art geek, the colors on the Kate-in-a-Boat cover were deeply symbolic for me: with the red standing for mortality and death, the black being darkness, fear, uncertainty and evil, and the blue standing for the pureness and innocence of this mortal girl. I also liked the Lady of Shalott references, or even the thought that the river could be the Styx with Kate navigating between the worlds of the living and the dead. Kate-on-the-Roof is a more enigmatic image. We don't see her face, which may help the reader enter into her first person narrative more easily. She seems to be hovering above the city, like a spirit. She is alone, far from the hustle and bustle of humanity below her on the earth, which reflects Kate's emotional isolation at the beginning of the book, and perhaps the fact that in choosing to side with supernaturals, she is--in a way--distancing herself from her fellow humans. And finally there is the fact that the pink in the sky bleeding upwards from a white horizon suggests daybreak, which is a visual metaphor for hope. That is the deal-maker for me. Because though Kate faces danger and heartbreak and uncertainty, there is also hope for her and for the rest of the characters. And hope is a central theme of the DIE FOR ME trilogy. Which makes the current cover a perfect symbol for the story as a whole. I couldn't have asked for anything better. It is truly a nice and useful piece of info. I'm satisfied that you just shared this useful info with us. Please keep us up to date like this. Thank you for sharing. Yes! Finally something about suborbital. next week, and I am on the search for such information. you an email. I've got some suggestions for your blog you might be interested in hearing. Either way, great blog and I look forward to seeing it improve over time.